As that sentimental, love-filled holiday we call Valentine’s Day approaches, you’re probably thinking of how to best express your romantic affection for that very special someone. 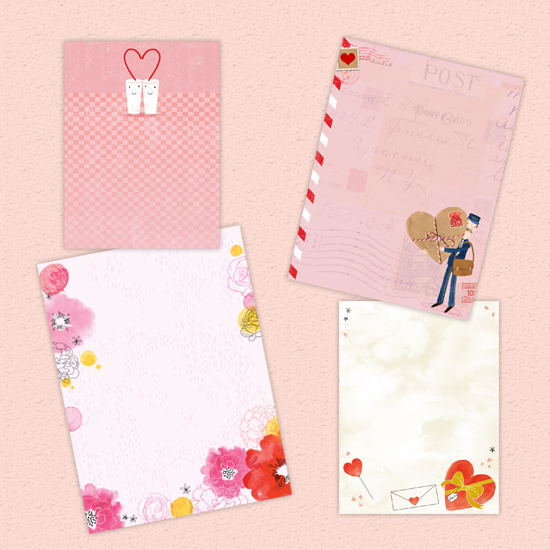 How about putting your feelings into words by writing a beautiful love letter? If you find your thoughts don’t always flow quite as easily as you’d like, you may find it really difficult to come up with just the right words to convey exactly how you feel. No worries. Blue Mountain is here for you! 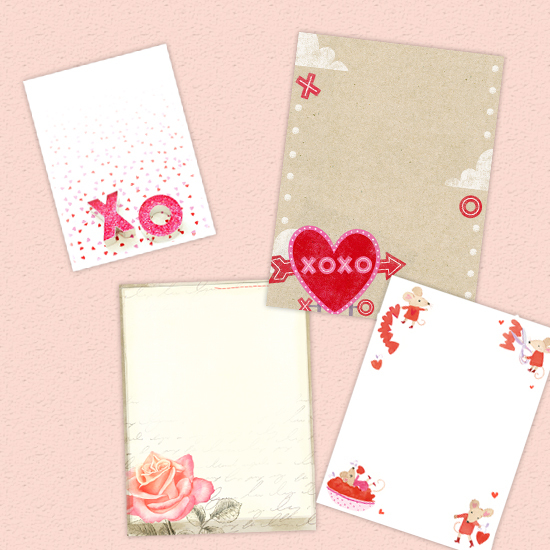 You can now find beautiful (and free) Love Letter Stationery on BlueMountain.com that are perfect for crafting the ultimate Valentine’s Day love letter. You’ll want to find a nice quiet space in which to write, away from all phones, computers, and other distractions. If you’re comfortable and unhurried, your letter-writing process will be much more relaxing, enjoyable, and productive. Before you put pen to paper, take your time and go over your feelings and emotions for that special person. Remember key moments and events you’ve shared. What makes them stand out from the others? Focus on their best qualities and some of the kind things they’ve done for you. Don’t try to imitate anyone or use words you wouldn’t ordinarily use in real life. Be conversational and write exactly what comes to mind, just the way you would say it out loud. Your own voice is the sweetest voice of all—and they know it. A personally handwritten letter is the best of all. No emails or texts will do this time, sorry. As luck would have it, our designers have created some FREE, printable love letter templates you can print right from home. Your letter doesn’t have to be long to be better. Short and sweet is just as good as any novella. Conclude with a sentimental closing, such as “With all my love,” “Forever yours,” or “Your one and only.” Tuck into an envelope. Consider adding a few heart-shaped confetti, or some dried rose petals before sealing. Add a candle wax seal using a heart-shaped stamp for a nice finishing touch. Hand-address and mail in plenty of time for them to receive—and enjoy—by Valentine’s Day. 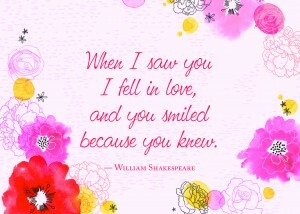 We’re also offering two FREE, printable love quotes that are made for printing and framing. When you combine this framed quote and your love letter on coordinating Love Letter Stationery from BlueMountain.com, you’ll have the perfect Valentine’s Day present ready to go! Click here to print and frame this quote. With Valentine’s Day peeking around the corner, love is most definitely in the air, and we at Blue Mountain are anxiously looking forward to sharing warm Valentine’s Day smiles and hugs with our families, friends, and fans. 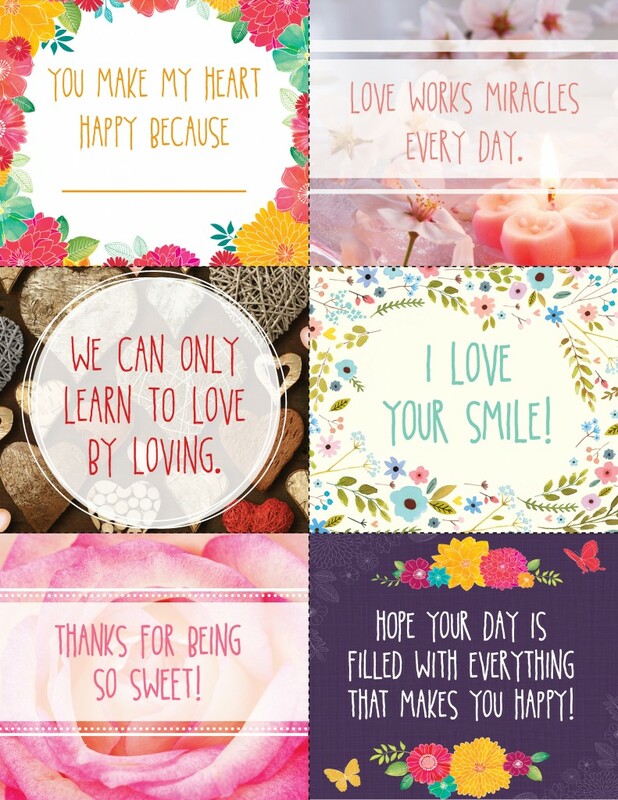 We decided it would be so much more fun to have you join in the fun with us, and so we’ve designed these wonderfully-sweet, Valentine’s Day printable love notes that you can print and leave for anyone whose day you’d like to brighten with a smile. These love notes are perfect for popping in lunches, secretly tucking in coat pockets, leaving on desks at work, or inside books for a hidden surprise. Your kids, friends, family, and sweetheart are sure to love and appreciate your thoughtful little Valentine gems. Enjoy filling your world with happiness and love! Click here download and print these love notes out today!